Schonbrun Seplow Harris & Hoffman, LLP provides superior representation to clients in a wide variety of cases, with an emphasis on representing individuals whose rights have been aggrieved. Schonbrun Seplow Harris & Hoffman, LLP represents clients in all aspects of dispute resolution: from pre-litigation negotiations through litigation, including trials and appeals in both federal and state courts, as well as mediation and arbitration. We take an assertive approach to advocating on behalf of all our clients, who range from top corporate executives to secretaries, assistants and others whose rights have been infringed. We have successfully litigated cases against many of the largest law firms in the nation and have secured numerous recoveries for our clients in the six and seven figure range. At Schonbrun Seplow Harris & Hoffman, LLP our strong and experienced team of lawyers provides excellent representation and vigorous advocacy on behalf of our clients. We have consistently attained outstanding results for those who have been wronged or injured. Our commitment to justice extends to all whose rights have been violated or who have been harmed by the wrongful or negligent conduct of others. 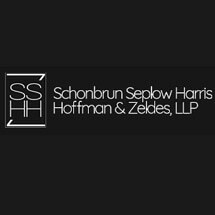 Because Schonbrun Seplow Harris & Hoffman, LLP represents most of its clients on a contingency basis, we have a personal stake in ensuring the maximum recovery for our clients. The firm levels the playing field by aggressively litigating against defendants while providing personal legal assistance to our clients.